Judy Hopps (Ginnifer Goodwin) has a dream of being the first ever rabbit police officer. 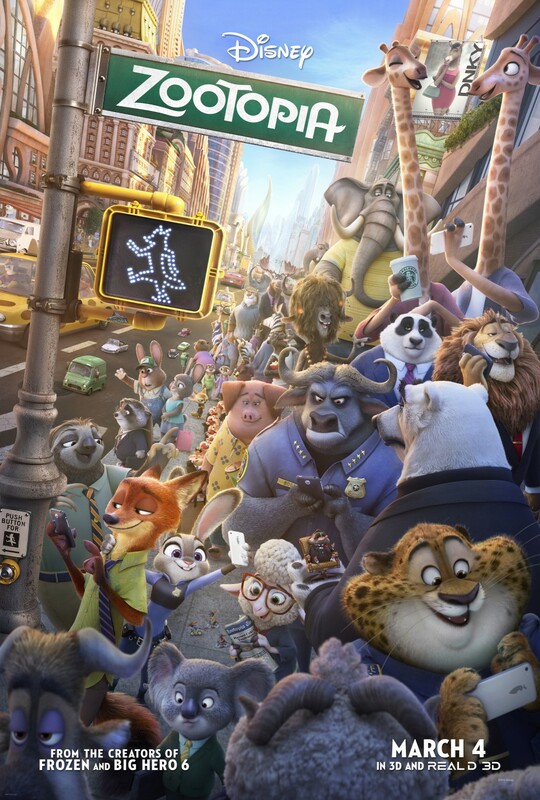 Upon fulfilling her dream and graduating at top of her class at the police academy, she is sent to Zootopia where she has trouble getting respect from her Chief, Bogo (Idris Elba), and other fellow officers. Though there are 14 missing animal cases to work, Hopps is placed on parking duty because she is a rabbit. However, Judy gets a chance to prove herself when she promises Mrs. Otterton (Octavia Spencer) she will find her missing husband. The Chief is unhappy about Judy's offer and gives her 48 hours to solve the case or lose her job, and she might need the help from the sly Nick Wilde (Jason Bateman) to do it. Our first 10/10 movie of 2016! Disney's "Zootopia" is a fun, exciting feature length film that offers a wonderful, poignant message about diversity and following your dreams. Ginnifer Goodwin stars as the voice of Judy Hopps, a rabbit with a dream of becoming a police officer. After successfully completing her police academy training, she becomes the first rabbit police officer, but her fight is not yet over. She faces a lot of discrimination since the police officers in Zootopia are typically larger animals like water buffalo, rhinos, hippos, and elephants, or predatory animals like bears, wolves, and big cats. Most of her fellow officers don't believe she is capable of doing the job because she is just a small, timid rabbit, typically a prey animal. A string of disappearances have happened in Zootopia and 14 predatory animals have gone missing. In an effort to assert herself and ease the suffering of one of the victims' wife Mrs Otterton, voiced by Octavia Spencer, Judy promises to solve the case, much to the chagrin of her boss Chief Bogo, voiced by perfectly by Idris Elba. 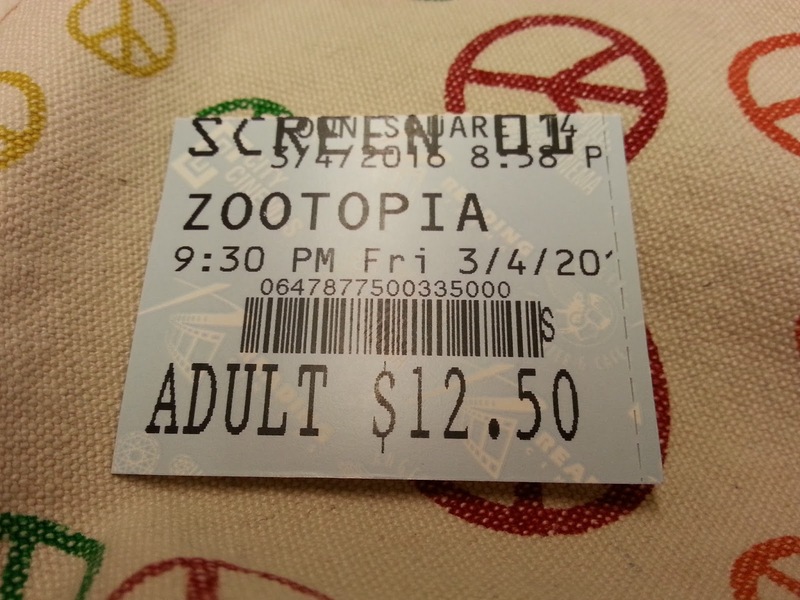 Judy pairs up with a cunning fox named Nick Wilde, voiced by Jason Bateman, who is a hustler and the last person to see Mr. Otterton before his disappearance. Together, Judy and Nick must solve the mystery within 48 hours so Judy doesn't lose her job, the only thing is the problem might be bigger than a bunch of missing animals. Judy Hopps is a great protagonist. She is driven to succeed, goal oriented with a can-do attitude, smart, sassy, and believes in herself. She is the opposite of Nick Wilde. Even in animated form, Jason Bateman plays a sleazy dude, but apparently this role works for him. Nick is wily, slick, and is smart in his own right. He has clear trust issues, but also has a big heart. Together, they are a dynamic duo, and we would not complain if there were more of these two character in some form or another in the future. The supporting cast of characters is excellent, too. Idris Elba's chief Bogo is brash, moody, and commanding. It's hard to argue with a gigantic water buffalo, but Judy still finds a way to do it and often has the upper hand. Jenny Slate voices Bellweather, a timid sheep and glorified secretary/assistant mayor to Mayor Lionheart, voiced by J.K. Simmons. Simmons and Slate have some wonderfully hilarious exchanges, and we can't help but get excited when we hear Simmons getting more and more voice work as his presence on screen, even in vocal form alone, is dominant. Nate Torrence voices Clawhauser, the front desk officer at the Zootopia precinct. His is a chubby, fun-loving cat cop who has a penchant for Gazelle, the biggest star in Zootopia, voiced by singer Shakira. He provides a ton of humor whenever he's on screen with his donuts and his Gazelle app. Together, these actors and many more make up a tremendous voice acting cast, one where every piece of the proverbial puzzle fits just right to make for a sensational viewing experience. Beyond good characters, there is a great story in this movie. The crime investigation is intriguing enough to keep adults enthralled and kids entertained, an enjoyable time for everyone. The humor in "Zootopia" is excellent and is made so kids and adults can enjoy it together. There are also many pop culture references, most of which are geared more toward the adult crowd. We certainly hope children won't and don't get the "Breaking Bad" or "The Godfather" jokes, but for us adults, we were left in stitches, laughing louder than most of the people in the crowd. That's really the beauty of "Zootopia." It does a splendid job blending the cute and the exciting and the funny. All of this is tied together with an overarching message about accepting those who are different than you. "Zootopia" implores those watching not to judge other people (or in this case, other animals) because they look different or because they come from a different background. The anti-stereotyping message is strong here, and at one point, I was in uncontrollable tears. I felt embarrassed at first for crying so hard in a movie intended for children, but when I sat back and thought about the political, cultural, and societal climate we are in at this present moment in time, this movie is exactly what we need to reinforce this message to the youth of today in a world seemingly more divided than ever. It also shows how fear-mongering and scapegoating is used to control the masses and manipulate them into hating a certain type of animal. This is an important, moving message delivered in a way that still remains amusing and never feels browbeaten or pandered at the audience. The bottom line is Disney's "Zootopia" rocks on more levels than one. It is fast, well paced, extremely colorful and busy without being distracting or incomprehensible. It is politically, culturally, and socially timely and meaningful, has amazing voice over work, and is a charming, fun, furry, adventurous ride. Kids will be entertained and will hopefully resonate with the message it contains, and adults will love it for both its surface value and its underlying messages. This is honestly a movie for everyone and we implore you to see it, too. It is most certainly worth your time and your money. One year ago, we were watching: "Cinderella"